Any chance Vlady will get his unique VLAD? Vlad's Boat and a planned Kirov will be special "Commander" Units i'll be using in the Campaign. Also decided to remake my Corkscrew Voxel since I got more references to it aside from the small 640x480 FMV screengrab from the intro thanks to tomsons. This WIP one could be used as an amphibious transport prototype. Wasn't the corkscrew a prototype in the first place like the 'Landing Craft'? Refurbished Stingerr's Voxel a bit more recently to put it up to standard to my other units. I'll be posting the Old Bullfrog later on this end of the week. The GIF rotating image's filename is bullf_000.gif, this is why it stands for bullfrog amphibious transport. Going to try adding these in as new Tech Buildings. The Hot Dog Cart will heal nearby infantry and give them the "Well Fed" Buff which adds 25% Firepower to them. Among other things is probably an Ice Cream Truck and a Deployed version of said Truck. at the same speed after a few hot-dogs. Maybe a small speed decrease will make it more accurate. I love that hot dog stand idea! How about a speed increase, in fact? Units zipping rapidly past networks of hot dog stands? Or an increase in strength; a shield of fatness. Indeed, when you eat something very heavy you feel you cannot run. 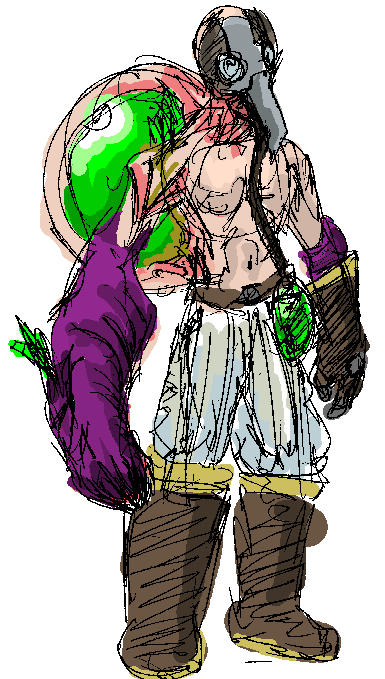 Rushed Concept Art of the Chaos Cell Commando. He fights using a Tiberium dart attack from his mutated hand and can spawn visceroids by popping the cyst from his back as a deploy attack. Popping cysts might be... a little too disgusting, even for a bloody war, dontcha think? And Virus Death Animation isn't any less disgusting? It's practically the same fate. Remaking my Reaver Bike Trike and will also be using Gunner Logic. Cool, but I hope the recoil does not flip it over. Q: Is the back remap unshaded on purpose? 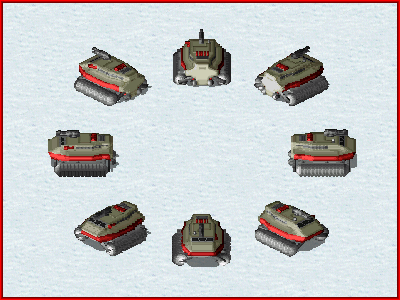 I based the remap of the Trike on its In-Game Graphics from Dune 2000. Revisited the Voxels of these 2 units. The Bradley is now deployed exclusively via a support power and as a Campaign Unit and the Jaguar Tank is the new generic MBT of the Allies. VXLSE Preview of the New Stolen Tech Unit the Necron Yuri Monolith Platform. It uses a reverse-engineered Prism Turret to allow the platform to fragment the beams. Can deploy into a building that will be able to use the Prism Forwarding. Increased the Size of the Power Cursors since they're smaller when used in RA2 in the mouse.sha and added a shadow effect to make it fit in more with RA2's Cursor Style. 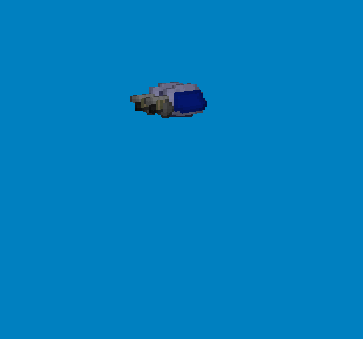 Voxel Preview of the Soviet Colossus, Stolen Tech Unit that is healed by Electrical Weapons. I'll be redoing the chassis though it ended up too small. I'll be further editing the Turret though to include exposed flesh maybe. 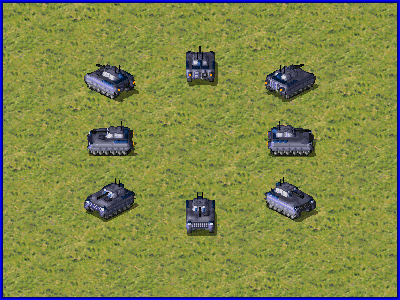 Previews of the New IFV Turrets, Once its working... that is. Initiate Turret on the Stryker and the Dog Bark Amplifier on the Humvee. Can you make power armor voxel model? This armor can transform like IFV. Torso is turret. 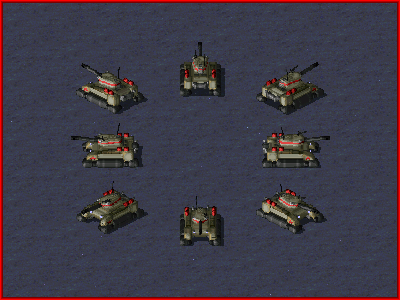 I'll be releasing a pack for the expanded IFV Turrets for the "Vanilla Infantry" Set in the future though. As for the Power Armor... you can probably use something like the Odyssey Voxel from MadHQ's Stuff similar to the Tsurugi which is based on it in MO. Thanks for giving us a peek at your IFV! Now I can get a little more ideas for my IFVs details! RIAKTOR wants a Power Armor Voxel... IIRC though Quiet also made an IFV Mech for Yuri-Schemed from back last year too. You can also probably use the ED-209 Mech from MadHQ's Stuff as I mentioned earlier if you're not too picky. My current tally of Multigunner Modes just for the Allied ones is 35 Variants. More progress anyways on the IFV Turrets. One of which is the Brute Mode which gives you a Battering Ram and a more proper Shotgun Turret for the Stryker IFV which uses 2 Combat Shotguns instead of a Riot Shotgun with the Humvee. Preview of the Flamethrower Turret of the Humvee and a remake of the Cop Car in the RA2 Mixes. Does anyone know why the cop car is referred to as RA2 Pig in its Name=? Also, that flame-turret looks too big the Hummer. Maybe making it a single-tanker? Because pig is derogatory slang for a police officer. Elaborate. I thought it was cop? 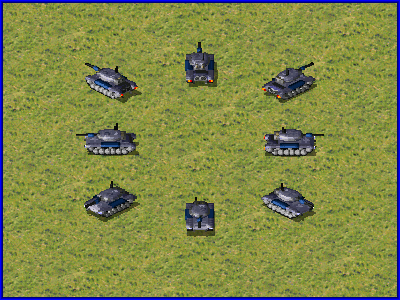 Refactored and recycling some units. The Double Barreled Heavy Tank is now the Rhino Tank and is exclusively deployed from a support power. With this change i've made the Original Rhino Tank into the "Hippo" Tank.. basically its amphibious now. Introducing the T3 Anti-Air of Yuri the Decimator. 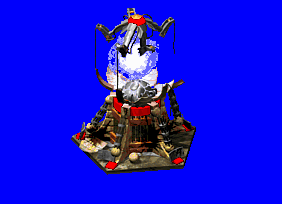 The Decimator fires a powerful concentrated ball of plasma similar to the Banshee. The Decimator can deploy rendering it immobile but also allowing it to angle the Turret further up letting it fire faster and deal more damage. I like it, looks like you could also make it into a bow, or slingshot. Kinda like on RA3 when you put an archer maiden in an IFV. 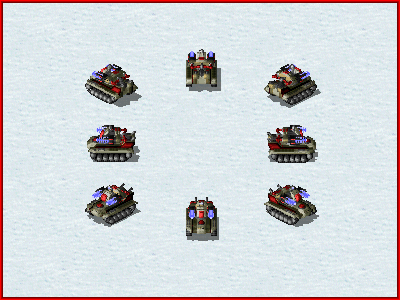 Hey, Atomic_Noodles, I just noticed that in your updated Psychic Dominator art, frame 14/15 (SHP Builder shows it as 15 since it starts counting from 1) of "yappet_g.shp" is missing snow. Should be fixed it now. Just redownload the pack in page 1 I guess. Good to see you back Atomic-N. Neat ! Cute voxels. I recommend shading the outer edges of the wheel covers darker so they look less diamond-shaped.